At Central High School in Knoxville, Tennessee, a Friday night in autumn means a football stadium bathed in lights and two teams battling it out on the gridiron in front of a sea of red and black -- everyone decked out in support of the home team, the Bobcats. "(On Fridays) everybody's excited at school to see how well we do. It's what our school revolves around," said Seth Armstrong, a recent Central High graduate who played for the team. "It's exciting." Out in front of the crowd, the marching band and cheerleaders keep the energy high, and in the fall of 2014, there was a new face on the cheerleading squad – a spirited 14-year-old freshman named Emma Walker. 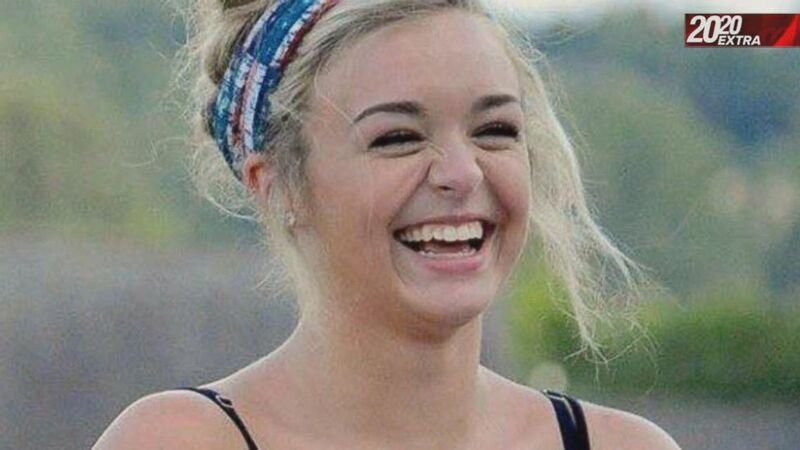 Sixteen-year-old Emma Walker was a beautiful, vibrant and warm-hearted cheerleader and high school student. Early that fall, Walker’s moves on the sidelines caught the eye of an older student, Number 8 – Central High’s wide receiver and then-junior Riley Gaul. Raised by his mother and grandparents, Gaul was a top student and loved to play video games. Friends described him as a jokester, not the “classic jock” type. When Walker's parents first met Gaul, they said their first impressions of him were positive. Emma Walker’s friends said she seemed happy with Gaul in the beginning. Soon, the cheerleader's social media accounts were filled with pictures of a seemingly perfect pair paddle boarding together, embracing and taking silly selfies. At first, the relationship seemed “just kind of normal," said Keegan Lyle, one of Walker's best friends. Friends said they grew concerned because it became apparent to many of them that Gaul didn’t want Walker to hang out with anyone but him. “He became kind of controlling over her, what she did, her activities,” Keegan said. “He got more possessive and more clingy towards her, and wouldn’t let her do certain things,” Lauren Hutton added. 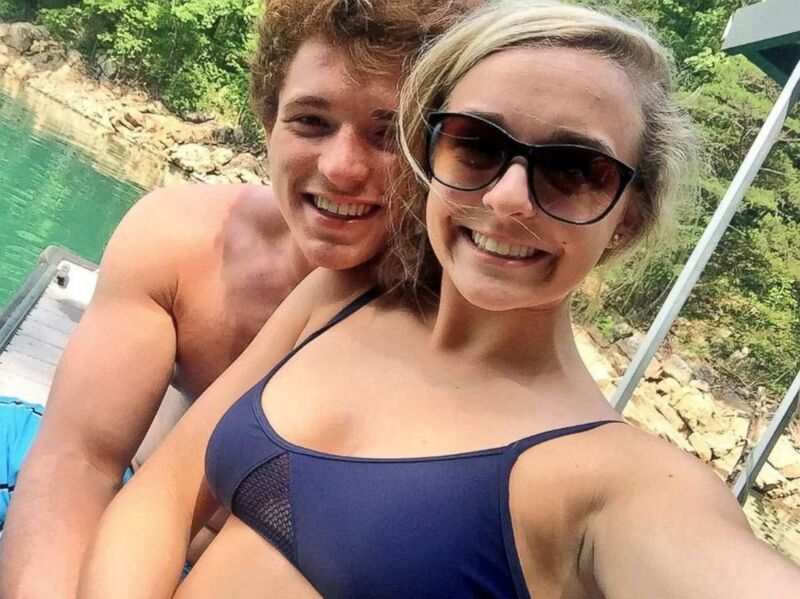 Riley Gaul continued to repeatedly contact Emma Walker after their breakup. 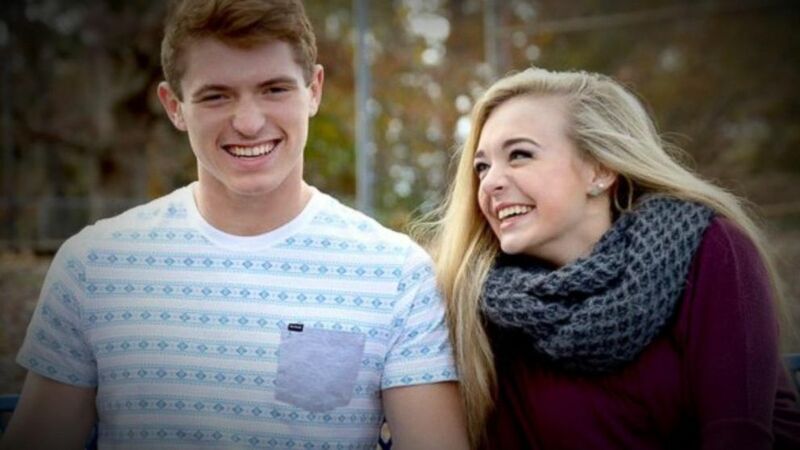 Over the next two years, Walker and Gaul seemed to become that other classic high school couple, the kind that was always breaking up and getting back together. Friends described “really dramatic” arguments between the two, often over text message or Snapchat posts. Jill Walker said Gaul would always comment on what her daughter wore, telling her what she should and shouldn’t wear, to the point where she said she ended up saying something to Emma about it. Then, Lauren Hutton said, things became “intense” between the couple. She said Gaul started waiting for Walker outside of the supermarket where she worked. “He would just wait outside for hours,” Hutton said. One message in particular alarmed Walker’s mother. “You’re dead to me… I’ll check the obituary… ---- you,” Gaul wrote. 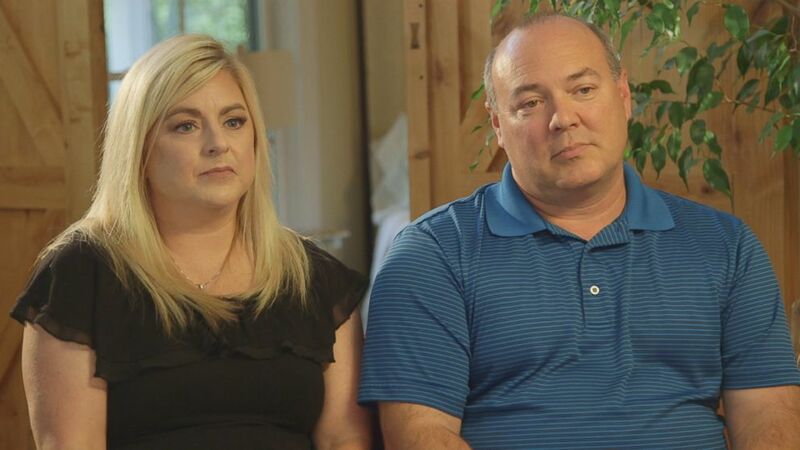 Emma Walker's parents, Jill and Marker Walker, are seen here during an interview with ABC News' "20/20." Walker’s parents decided to ban Gaul from their home and they took away their daughter’s cellphone to try to stop the teens from communicating, but it didn’t work. “Riley gave Emma an iPod Touch and she texted him through the WiFi,” Walker’s friend Seth Armstrong said. For every nasty message Gaul sent Walker, there was also a quick apology. “Emma, I’m sorry for however I act,” one message from Gaul said. “I love you more than words can describe,” said another. With justice served for Emma Walker's death, Jill Walker hopes what happened to her daughter can also serve as a warning to others who may be in tumultuous relationships. By fall 2016, Emma Walker and Gaul were still dating. Gaul had graduated and was an 18-year-old freshman at a nearby college by then, and Walker was in her junior year of high school, but their tumultuous relationship had continued despite her parents’ attempts to keep them apart. Around Halloween that year, Walker’s parents decided to ground her - not allowing her to leave the house except to go to school and cheerleading. They started monitoring everywhere she went and, to their surprise, it seemed to work. Keegan Lyle is seen here during an interview with ABC News "20/20." But Gaul didn't seem to take the breakup well. While in his college dorm room, he swallowed a bunch of Vicodin pills and washed them down with alcohol in an attempt to commit suicide. His friends witnessed his mood swings. "He would be off to the side, moping ... (and) saying things like, 'Oh, I just feel so depressed. I want to hurt myself.' Blah, blah, blah, blah,” said Gaul's friend Alex McCarty. "Just things that he would just say a lot as a cry for help, I guess, in a way." Then on Friday, Nov. 18, 2016, Walker was allowed to attend a gathering at a friend’s house. Around 11:30 p.m. that night, her friend and classmate Zach Greene arrived at the house where they were hanging out and Walker pulled him aside. She told him she had been receiving strange text messages from a number she didn’t recognize. “She's like, ‘Zach, I'm getting these really weird text messages [that say] Come outside alone if you don't want to see a loved one get hurt,’” Greene said. She showed him her phone, he said. "Go to your car with your keys," said one text message. Then, "Go alone," said another, and another said, "I've got someone you love. If you don't comply I will hurt them." Greene said that Walker thought it was one of Gaul's friends playing a prank on her, but that she texted back, threatening to call the police. The text messages, however, became more menacing, Greene said. "If you'd like to hear his crying and screams give him a call," said one message. Greene said Walker started begging him for help, until he said, "Eventually she comes out and says, 'Zach, listen. They said they dropped Riley outside.'" He and Walker went outside and sure enough, he said, they found "a body lying face down" in a ditch near the house. Under the glow from the streetlight, he said, they could see that it was Gaul. "We finally get to him and he's pulling up his head, kind of, has this confused face on," Greene said. "Emma's like, 'Why are you here?' He's like, 'I don't know what happened' I don't know how I got here. I've been kidnapped. Someone dropped me off here' I don't know what's happening' Where am I? How'd I get here?' Holding his head like he got hit upside the head kind of. It was just very weird." Walker was immediately uneasy, Greene said, and she didn't really know what to think. "She's just like, 'We just broke up. Leave me alone,'" he said. Seemingly dejected, Gaul walked off down the street, alone. He called his friend Noah Walton and told him he had been kidnapped that night, but Walton didn’t believe a word of it. "He sounded like he'd been crying or he was sounding fatigued, I guess," Walton told "20/20." "He basically told me that these people knocked him out, took his car and threw him in a van and he didn't know where he was." He said Gaul told him not to call 911 to report the alleged incident. "He was just like, 'No, no cops. No cops,'" said Walton. Additionally, none of Walker's friends contacted the authorities about the alleged kidnapping that night. The following morning, Walker went home. But then she texted her friends, saying a stranger was at her doorstep. She also texted Gaul, saying, “I hate you but I need you right now." “I’m coming… I’m speeding just give me a minute,” Gaul texted her back. When Walker failed to meet up with her mother that morning as planned, Jill Walker returned to home and found her daughter and Gaul in the front yard. Her daughter was visibly shaken, and thought it could have been a burglar or maybe even a stalker. Jill, however, wasn't convinced. "I said to Emma, don't you find it odd that Riley was involved, or appeared at both events. She said, no it wasn't him Mom, it wasn't him," Jill told "20/20." "He's trying to get her attention to talk to him. And going way overboard to do that," she added. By Sunday night, things seemed back to normal at the Walker household. Emma texted with her friend Keegan Lyle about a homework assignment, then went to bed a little after midnight. A little after 6:00 a.m. on Monday, Nov. 21, 2016, Jill Walker went into her daughter’s room but she couldn’t wake her up. "(I) said her name, didn't hear anything, bumped her leg, didn't hear anything," Jill Walker said. "And then looked at her face and realized ... and checked for a pulse and couldn't find anything. I don't remember a whole lot from that. I know I called 911." "I just tried to wake my daughter for school," Jill Walker told the 911 operator. "She's, she's 16." "You said that she's nonresponsive?" the 911 operator asked her. "Yeah," Jill Walker said, sobbing. Police were sent to the Walker house. Knox County Sheriff's Deputy Nikki Bules, the lead forensic technician on the case, said the call originally came in as a possible suicide. "When I first got there, I started my photographs on the outside of the residence. I walked in, photographed the interior of the residence. Walked into the bedroom photographed the bedroom," Bules said. "There was a hole in the wall. ... It appeared to be a bullet hole." "At that point, I knew that it probably was not a suicide," she added. When Knox County Sheriff's Lt. Allen Merritt arrived on the scene, he said he started looking at the outside of the house and noticed a bullet hole in the wall that was "about shoulder high." "It's just a small bullet hole. Just, you know, about the size of a ballpoint ink pen," he said. He then located two shell casings outside the home, so he knew two shots had been fired. Walking around outside the home, he eventually found a second bullet hole on a different side the house at approximately the same height as the first. "To an investigator, that tells me that the two shots were more than likely fired by the same suspect," he said. 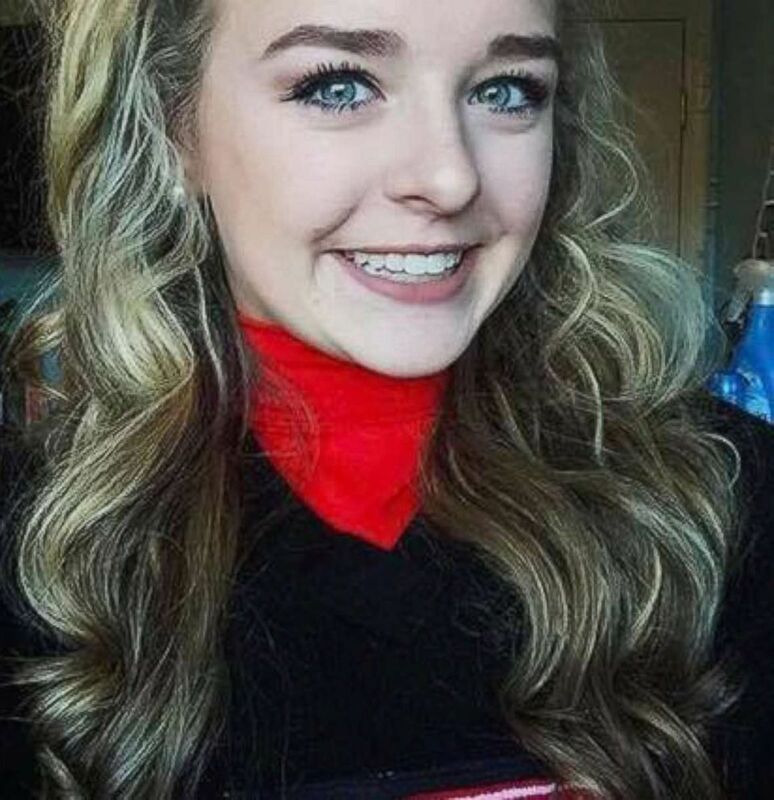 Emma Walker, a beautiful and vibrant cheerleader, had been killed by a gunshot wound to the head after two bullets had been fired into her bedroom from outside the family's single-story home. One bullet had hit her behind her left ear and the second had lodged into her pillow. "Once the detective got there, we were asked to leave the residence," Jill Walker said. "So obviously it had turned into a crime scene at that point. So they were wrapping tape around our house, and walking around outside, but we still had no idea what had happened to her." When police started interviewing Emma Walker’s friends and family members that day, Merritt said the same name kept coming up over and over again. "Everybody kept giving us the name Riley Gaul because of their relationship, because they had seen the way that Riley had treated her, the way he'd talk to her," Merritt said. Gaul took to social media to mourn Walker, posting a series of tweets and a lengthy Facebook post. In one tweet, he wrote, "Rest easy now sweetheart. I love you forever and always." "What stood out to me from these tweets immediately was the repetitive nature of him saying, 'I love you. I love you. I love you,'" said Madisen Keavy, a reporter at ABC Knoxville affiliate WATE who covered the story. "Only knowing those posts about him, if you just read that, if you just saw that, you would think that this was an ex-boyfriend who just lost his first love." Walker's friends and family were devastated. 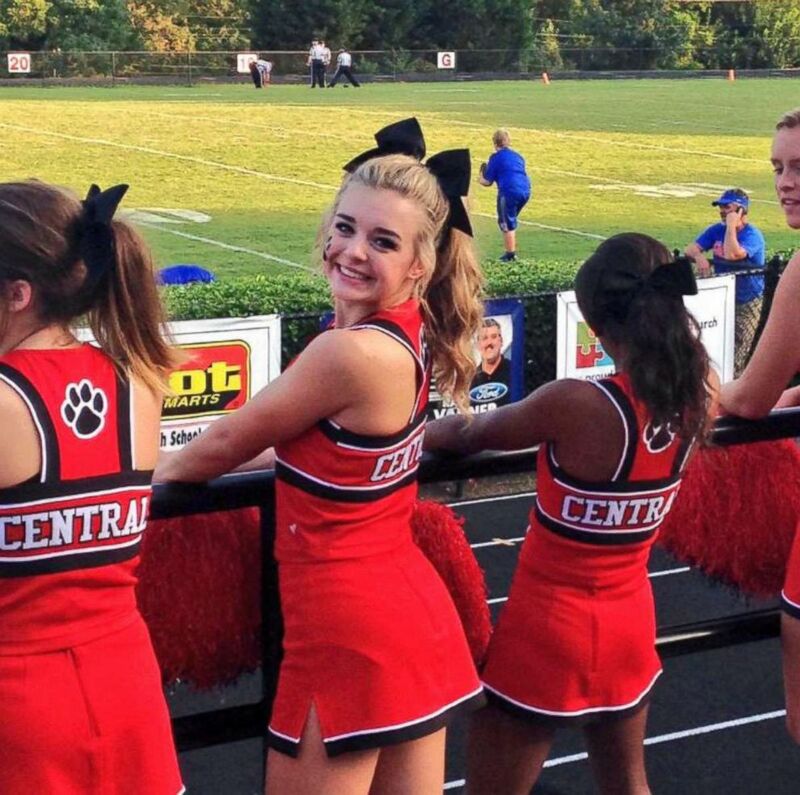 The night after her death, they held a candlelight vigil at Central High, and her fellow cheerleaders released balloons in her memory at that week's Bobcats’ football game. Gaul’s friends became concerned with his well-being. So following Emma’s death, they told detectives a secret Gaul had shared with his friend, Alex McCarty, the day after Gaul's alleged kidnapping. "He ended up telling me... that he was so fearful for his life that he had stolen his grandfather's gun and he showed it to me," McCarty relayed to “20/20”. "I was very worried. ... He reassured me over and over again that he was the farthest thing from suicidal. He was just so scared of these people who were out to get him, were out to get Emma." But Walton, another friend, also told detectives that Gaul had asked him how to get fingerprints off a gun. "He said he was asking for his roommate," Walton told "20/20." "I told him, 'Obviously not and not to ever ask me anything like that again.' And he said, 'I know. I know. It was for my roommate. I thought it was weird.'" Detectives brought Gaul in for questioning on Monday about his whereabouts during the previous 72 hours. Gaul said he thought he had spent Friday night at his friend Noah Walton’s house. During his two-hour police interrogation, Gaul didn’t referred to Emma Walker by name, only calling her "the girl." "The girl, she texted me," Gaul told detectives. "The one that passed away," Gaul said. Gaul told detectives he had been trying to speak with Walker that weekend, but she wouldn't engage with him. "But she said if I would help her write her paper, she would talk to me," Gaul told detectives. "And (Sunday night) I used one of my friends' phones on campus to call her." "Our phone call didn't go very well," he said. "She just told me a bunch of cruel stuff, and she blocked his (friend's) number." Afterward, Gaul told detectives, he went over to his grandparents' house briefly and then drove back to his college. Once there, Gaul said, he broke down and cried for "two, three hours" in his car over breaking up with Walker. But, as he was describing this in the interrogation room, Merritt said Gaul was "emotionless." "His interview was probably one of the most disconnected. It almost seemed rehearsed, deliberate," Merritt told "20/20." At this point, detectives said they knew from McCarty that Gaul had shown his friend his grandfather's gun. Gaul's grandfather, who had kept the gun in his car, had reported the 9mm handgun missing prior to Gaul being questioned. Detectives asked Gaul about the gun, but he told them he didn't know where it was. He denied showing it to McCarty and also denied asking Walton about removing fingerprints from a gun. Then detectives asked to see his cellphone and Gaul asked them if he was a suspect. “Should you be?,” the detective responded. But Gaul continued to deny having anything to do with Walker's death. When Gaul left the sheriff's office, McCarty said he started getting text messages from him, asking why he had told the police about the gun. In text messages, Gaul asked his friends not to speak to the police anymore. "He was on edge," Walton said. 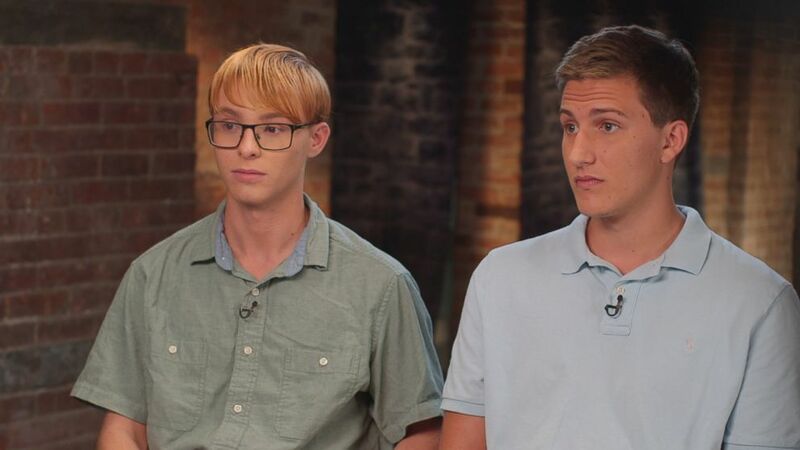 Alex McCarty and Noah Walton are seen here during an interview with ABC News' "20/20." Thinking Gaul was lying to authorities, Walton and McCarty then collaborated with police to help them lay a trap. On Tuesday night - just one day after Walker's murder, detectives wired the two teens up with microphones, a transmitter where police could listen in, and a video camera hidden in a key fob, and planned out a sting operation to recover the potential murder weapon. "Those two young men contacted us and asked if they could help us get what they believed to be the murder weapon back," Merritt told "20/20." "Obviously there's concerns for their safety. We went over all that with them and they were still adamant, very adamant that they wanted to do this. They understood the dangers and the concerns, but they wanted to do it." The operation was a success and Gaul was arrested. In addition to the gun, police recovered what they believe to be a treasure trove of evidence, including gloves and black clothing, which authorities say point to Gaul also being the “man dressed in black” who was mysteriously at Walker’s door the Saturday morning before she was killed. At his trial in May 2018, Gaul's defense attorney argued in court that he had never meant to kill Walker, but had fired the gun to try to scare her and get her attention. "He never intended to cause her harm, never intended to cause her death," Wesley Stone, Gaul's attorney, told "20/20" exclusively. "Consistent with her reaching out to Riley regarding the events Saturday morning …he was attempting to get her to ask him for help again, sort of to be her protector. It's been in his heart. It's been in his mind. It's been in just everything about him. Every day for the rest of his life, wherever that may be, he will have to live with that reality." Stone also said Gaul denies being the mysterious "man dressed in black." After five hours of deliberation, jurors found Gaul, now 19, guilty of first-degree murder as well as stalking, theft, reckless endangerment and being in possession of a firearm during a dangerous felony. In the state of Tennessee, a first-degree murder conviction carries an automatic life sentence. At his sentencing hearing today, Gaul, who did not speak during his trial, apologized to the Walkers for killing their daughter, but stuck by his defense that it was an accidental shooting. "I'm sorry I took Emma away from you, that I robbed you of the experience of watching your daughter grow up," Gaul said in court. "What I can do is tell the truth about that night... I wanted to scare her... I never meant to take Emma's life. Again I am sorry." "If your boyfriend or girlfriend is telling (you) you can't go there, or what to wear, or who to hang out with, or who to talk to. ... It's not OK," she said. "I think when they become quiet and withdrawn, it's a big sign too. ... It's not just bruises, it's emotional and controlling." Since her death, Emma Walker’s family has tried to keep her legacy alive. Her mother said she loved animals and wanted to be a NICU nurse, so the family has since gotten a dog park and a NICU patient room at East Tennessee Children’s Hospital named after her. “It’s all things that are a part of Emma and all mean something,” said Jill Walker. She added that she also hopes people remember her by "being kind to others."